This two day event in Killarney National Park, guided by dedicated and knowledgeable staff from the Killarney National Park Education Centre, will take in the best of the wildlife that this designated Biosphere Reserve has to offer! 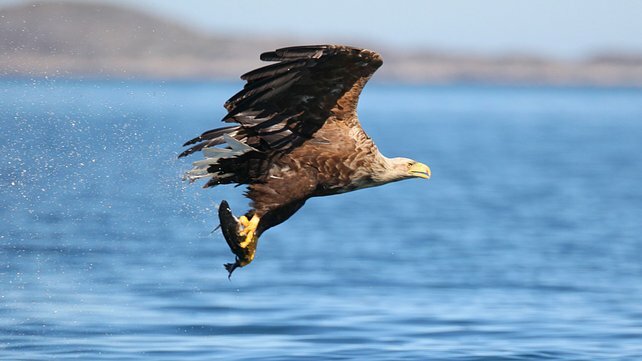 The first day of the event will include a tour by boat to attempt to see the majestic Sea Eagles, which are nesting on Lough Leane, followed by a moderate trek along the lakes and through Derrycunihy Wood, looking out for species such as the Kerry Slug and unique habitats along the way. After an evening break, visitors will venture on a Nocturnal Nature Ramble, where they are likely to hear bats and maybe even see badgers. On Sunday morning, guides will take you around Muckross peninsula to take in Yew and Oak Woodland as well as the striking native Arbutus tree. This tour will finish shortly after midday. This is a ticket only event and is now fully booked.